Many of our students join the Brighton Martial Arts School with the purpose of adding something to their lives or to their training. Most weeks we hear stories from people getting bored of the gym and who want an activity where they can lose weight and become fitter but also has a purpose and application. Our classes offer all of these benefits whilst also giving you the skills in Self Defence, something you will carry for the rest of you life and can share with your family or friends. Our Brighton classes will improve your Power, increase your Stamina, make you Feel Better, create Motivation and Discipline all whilst having a good time! Our Brighton club is well located in the centre of town and conveniently situated round the back of Western Road at St Mary Magdalen Catholic Primary School, Spring Street, the school has ample Free parking available in its grounds, and is well situated for public transport. The school is open on Tuesday & Thursday evenings and runs classes beginner, intermediate and advanced classes for Children and Adults. 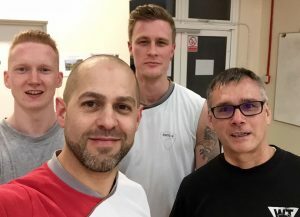 Sifu Ben Gosling (who also runs and established our Horsham club) also holds many private lessons in Brighton, and the school often meet up for Saturday sessions, as well as training on the beach and local parks. As you’d expect our Brighton school is full of characters, and due to its location has a great social side to it as well. With the students often meeting at weekends to train during the day and then make the most of Brighton’s nightlife. The Brighton Martial Arts School was established over 5 years ago, and is a buzzing, positive place to train and meet people. 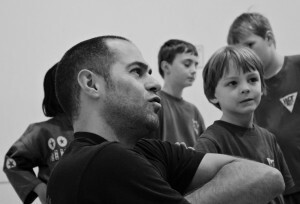 Sifu Ben would like to invite you to his club for a Free taster, contact us today to register yourself or your family.